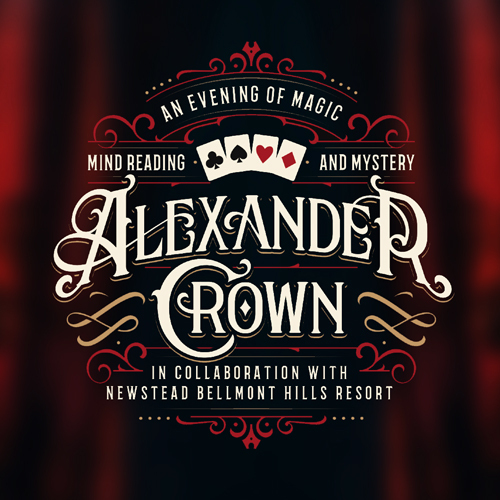 Alexander Crown, in collaboration with Newstead Belmont Hills present an intimate evening of magic, mind-reading, and mystery. 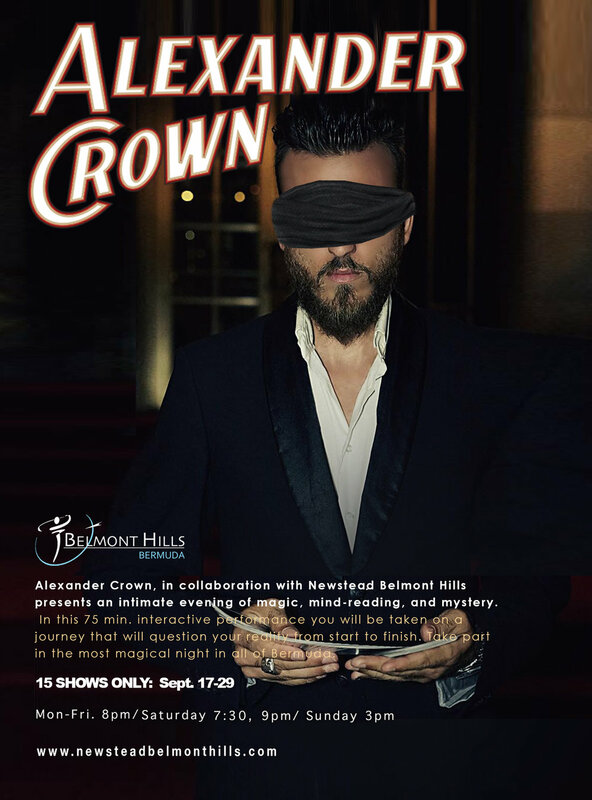 The show is an interactive experience in which Alexander Crown performs psychological illusions, sleight of hand, and mind-reading like you’ve never seen. In this 75 min. performance you will be taken on a journey that will question your reality from start to finish. Mind reading, magic & more right before your eyes. Take part in the most magical night in all of Bermuda. 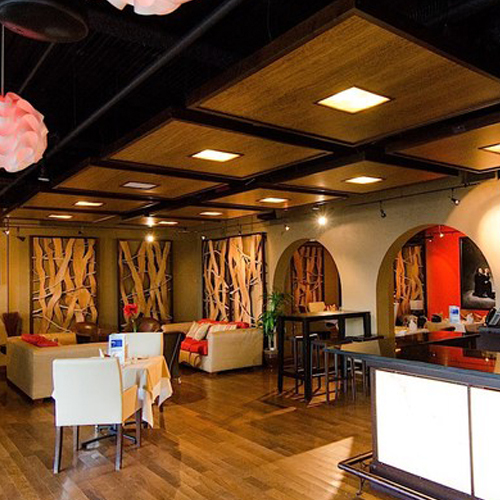 The show will take place in the Zanzibar Cocktail Lounge at Newstead Belmont Hills Resort. There is a strict limit of 32 persons per show. Book your tickets fast before they all disappear. Alexander Crown, 30, is a world renowned magician and who has performed and lectured in over 100 cities. Over the past 10 years, Alexander has created illusions and consulted for the top names in the magic industry. Alexander is now bringing his unique show to Bermuda, a first of its kind on the island. How Can I Reserve My Seat Today? You must be 16 years of age or older to attend the performance. Doors open thirty minutes before showtime and the show begins promptly at the designated hour. Absolutely no late admittance or refunds offered. Please arrive promptly to enjoy a cocktail and music before the show begins.